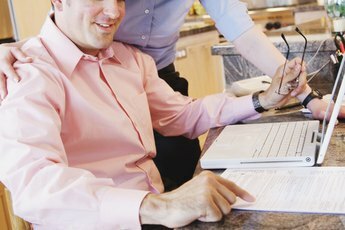 Sit down with your mate to begin to complete your personal budget. The “B” word, “budget” haunts many couples because they believe when you create a budget it means you must give up everything you want. Not so. However, if the word “budget” is full of negative connotations for you or your mate, simply call it a spending plan. Money coach and author Deborah Knuckey states in Bankrate.com, “My approach is to talk about creating a spending plan and start from what do I want to make room for. What's most important to me and how do I get there?” It’s essential you create a plan that will include realistic goals. This will help you focus on the positive and stay on track. Establish goals and make sure you both agree on those goals. If you both can’t agree, each of you should choose a goal term. For example, you may choose a short-term goal of paying off credit card debt which may take from 6 months to 1 year to achieve. Your mate may choose a medium-term goal of saving for a new car which may take from 1 to 3 years to achieve. Then you both may decide on a long-term goal which can take 3 to 5 years or longer to achieve, such as paying off student loans. Track your expenses for 30 to 90 days. Don’t skip this vital part of creating a personal budget. You must immediately write down every thing you spend your money on from DVDs to lattes. Tracking lets you know exactly where every cent and dollar is going. For example, you'll discover how much you spent on coffee and dining out during the 1- to 3-month period you tracked each expense. When you make this kind of discovery, making adjustments to your spending will be easier. Sit down with your mate to begin completing your personal budget. 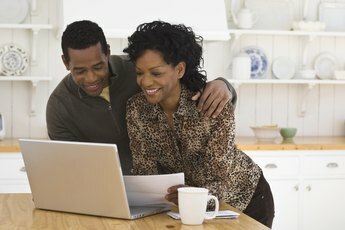 Your budget should include three main categories: fixed expenses such as your rent and car payment will remain the same every month; variable expenses like food and gas for your car will probably vary each month; and miscellaneous expenses such as gifts, movies and plays may only have occasional budget entries. Take out your tracked expenses and fill in each category on your budget sheet. The questions you need to answer are: What's most important to us? How much do we need to save to achieve our goals? Then make the appropriate spending adjustments. For example, if you and your mate discover that you're spending $300 monthly dining out, cut back on that expense. The money you save should be put toward one of your goals. Be realistic about where you need to make spending adjustments. If your mate is spending $100 monthly at his favorite coffee bar and he isn't willing to give this up, find a way to make this expense work. Cut back on an expense that isn't as important. 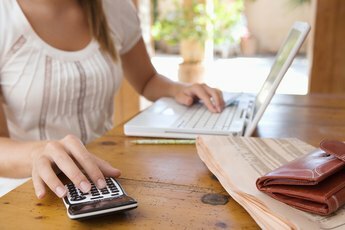 Use budgeting software, such as the free application available on Mint.com (see Resources), to ease the budget-creation process. How do I Create an Effective Budget?